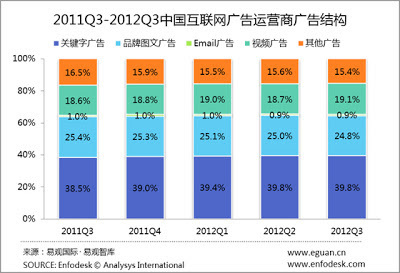 The sales revenue of Chinese online ads was 20.42 billion RMB in the third quarter. 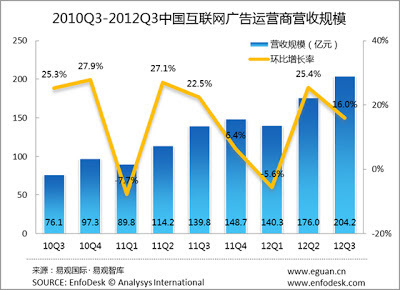 According to the report from Eguan, the sales revenue of Chinese online ads was 20.42 billion RMB(= 3.24 billion USD) in the third quarter. It was increasing 16.0% compared with the previous period, and was increasing 46.0% compared with the previous year. Next is the pie chart of market share by each Ads platform vendors. 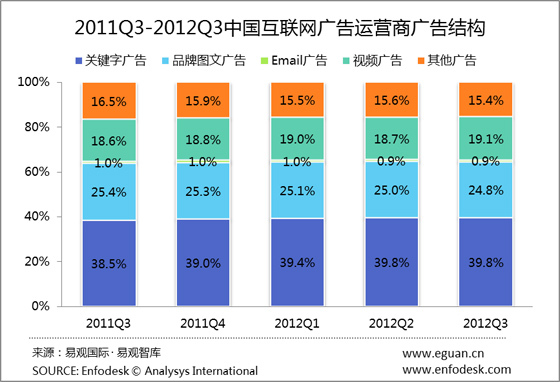 Baidu dominate almost one-third market share of this area. 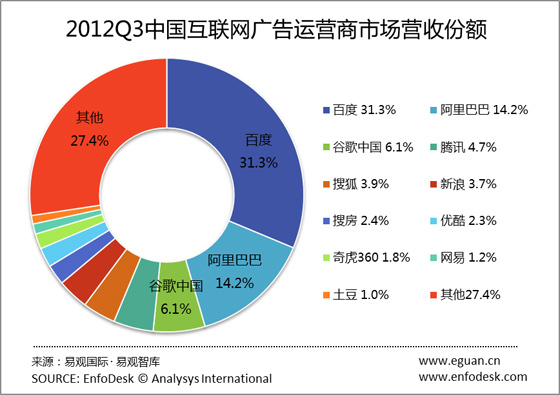 And big 4 portal site, such as Tencent, Sohu, Sina and NetEase also ranked high order. What will be the next trend in this area? 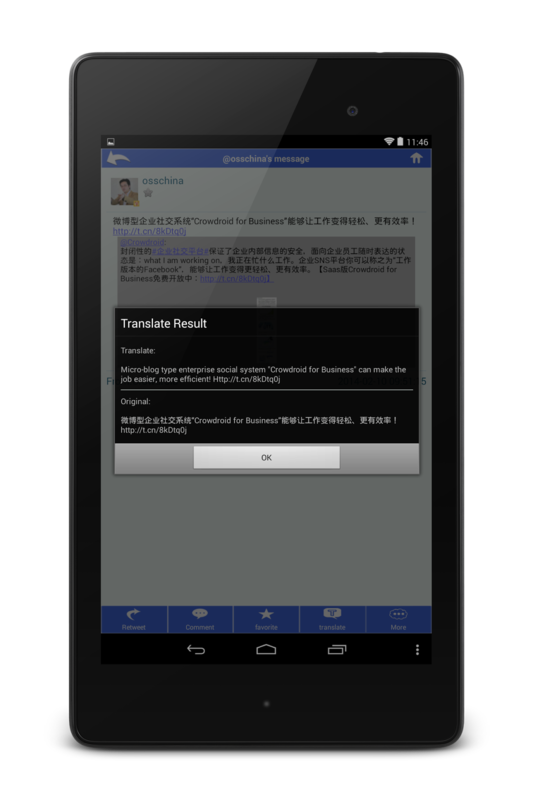 I think that one of them is mobile Ads, and another is Ads on Weibo. Both are rapidly growing market, so we have to keep attentions these trend.